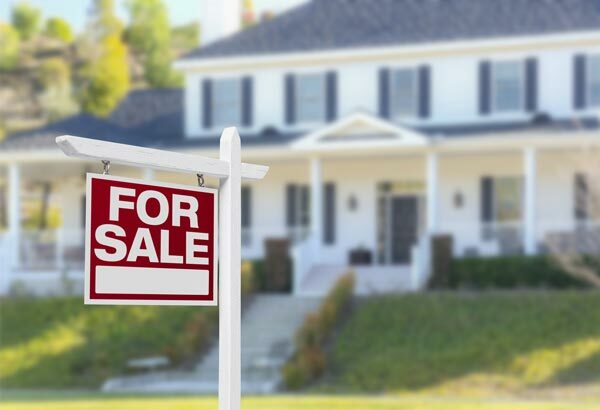 If you are considering buying a home, there are many things you must consider before making your final decision on which real estate company you trust with your home. Buying a home is the most expensive purchase you will make in your lifetime. We at Marsh Realty understand the importance of this time in your life and will work very hard for you. We will be with you throughout the entire process, from helping you find a home that best fits your needs, to negotiating on that home and guiding you through the settlement process. Most important, we will work at your pace and not ours. We are here for you. We need to meet with you and listen to what you want to accomplish in finding your first home, retirement home and any home in between. We want to know about the size of home, number of bedrooms & baths, age of home, location you desire and some other preferences you desire. If you have a home to sell, we can provide you a professional pricing analysis on our recommended sales price and the anticipated equity. If you don’t have a house to sell, we can get started as soon as you are ready. We always want to structure things that are going to work. Getting pre-qualified by a mortgage lender up front is the smart way to initiate the buying process. Once you are pre-qualified, we then know that every home we show you, you can afford to purchase. The pre-qualifying process is easy and usually can be completed over the phone. We will help guide you with this process. Let the fun begin! Based on the information you have provided us, we will be able to email you listings that we feel meet those criteria. Once we have a better understanding of the type of properties you prefer, we can set you up on an automated email to make sure you receive every new listing, the second it is listed For Sale. This way, you don’t miss out on any new listings. We will discuss a strategy of how we will negotiate the price and conditions of the Contract Offer to help you obtain a fair price. We can research other homes that have sold in the same area you are purchasing so you be can better evaluate the market price versus the listed price. We will explain the entire Contract in detail to you so you feel comfortable with the terms and conditions. We will make sure that all necessary forms are incorporated into the Contract Documents to protect your interest. There is a lot to do between the day of Contract acceptance and the day of settlement. We will help keep the process organized for you and coordinate the home inspection, radon testing, well & septic tests (if applicable), termite reports, the appraisal and other tasks that will be required. You will need to make sure you provide the lender with all paperwork and documentation they will request from you. You will be selecting a Settlement & Title Company to prepare all of the documents for closing. They will coordinate with the Lender information they need and will research the title of the property you are buying to make sure there are no liens on the property and that you will obtain a clear title. They will provide you estimated closing costs and the total funds you will need to bring to settlement. Some lenders require you to bring certified funds to closing and others accept wired funds from your account to the title companies bank account. Either way, the title company will coordinate this process. We will continue to be along your side which includes personally attending settlement with you. We will oversee the process to protect you and your interests as best we can. This is the day you received the keys to your new home. What an exciting day for all!